Thank you for your interest in The Source High School Ministry's STEAM Summer Camp, weekdays June 24th through August 2nd (8am to 1pm). 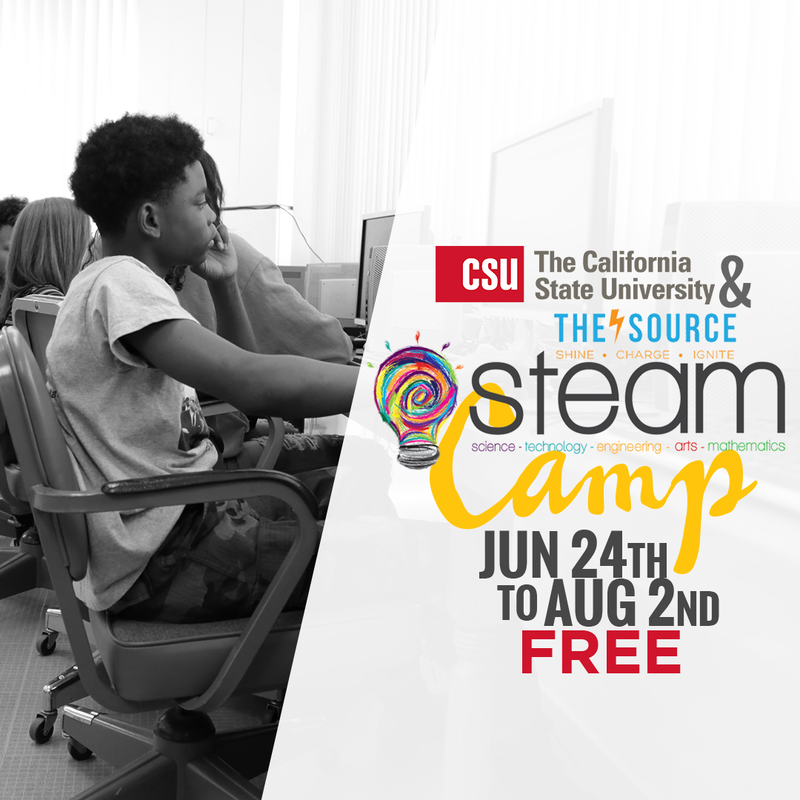 This STEAM Camp is presented, FREE OF CHARGE, in partnership with the California State University system. We have 65 spaces for high school students or eighth graders who will be a high school student in the fall of 2019. Please fill out the application information below completely. There is an approval process and we will let you know if your child is accepted shortly. Participants will learn skills and techniques to improve their knowledge of mathematics, robotics, engineering, coding, technology in the arts and quantitative reasoning. - Please provide your child's information. * What type of math are you interested in? - Please provide the relevant information below.